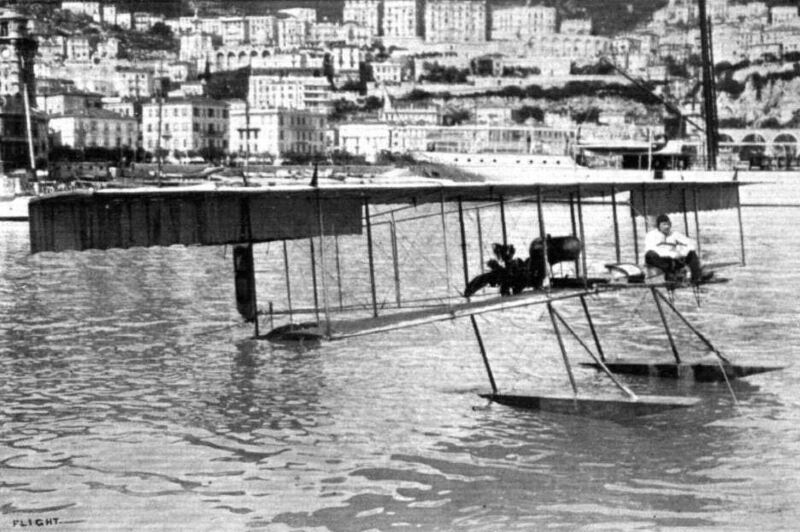 HF 11: Fischer flew this big 2-seat seaplane at Monaco in 1912. 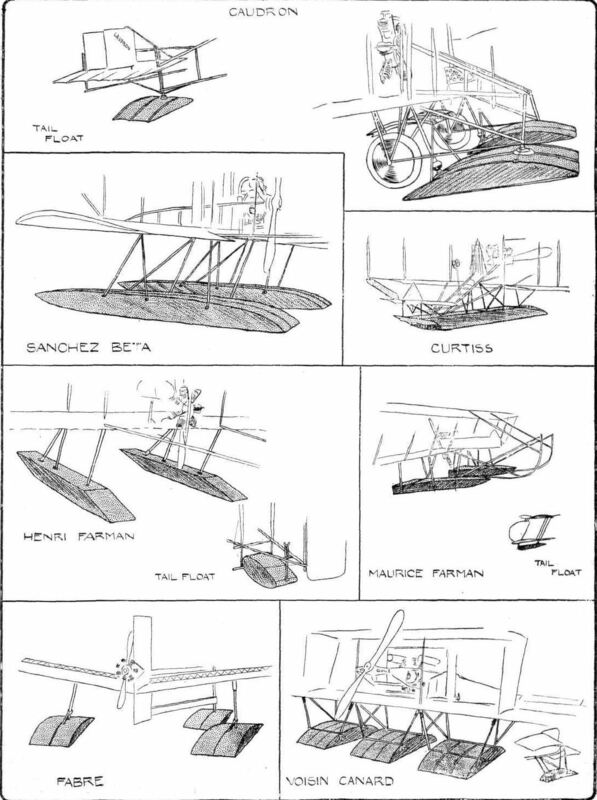 He sat out on an uncovered structure; the wings were overhung, and the outriggers came together at the high rectangular single rudder and tailplane. The Daily Mail Hydro-Aeroplane Tour. 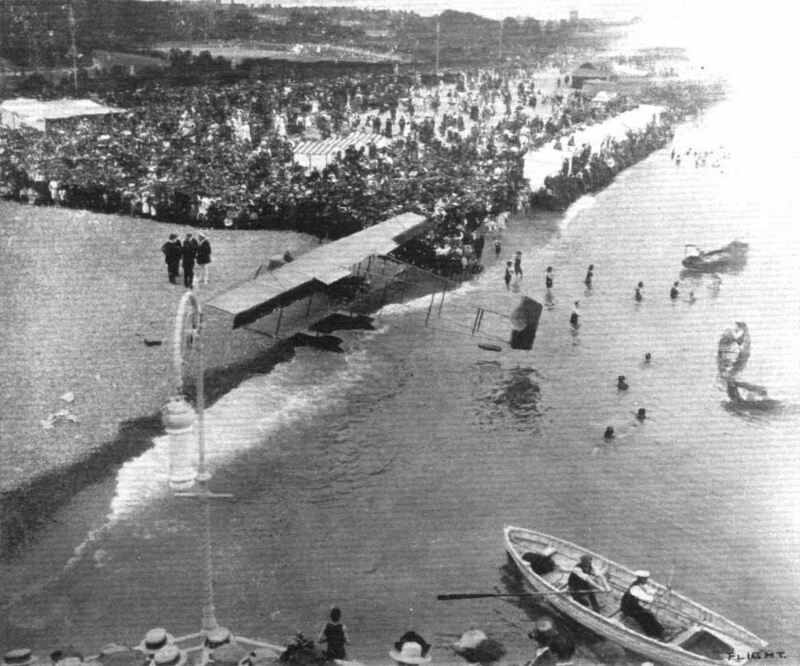 THE Farman hydro-aeroplane ordered by the Frank Hucks Waterplane Co. successfully carried out its tests at the hands of Fischer on Wednesday of last week. It was afterwards handed over to its owners. It made an hour's flight with a passenger, and afterwards several other shorter tests were made with passengers. 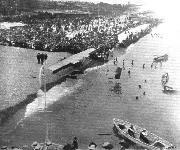 No flying was possible on the two following days, but on Sunday M. Fischer flew the machine to Southsea, made a dozen flights with passengers from the beach, and in the evening returned to the Hamble river. The fortunate passengers who took trips had a splendid view of the fleet at anchor.